There is a division in the Republican Party, in which some of its members are trying to unite behind moderate presidential candidates such as Marco Rubio and John Kasich, in order to fight over the establishment votes, said political analyst Eric Draitser. 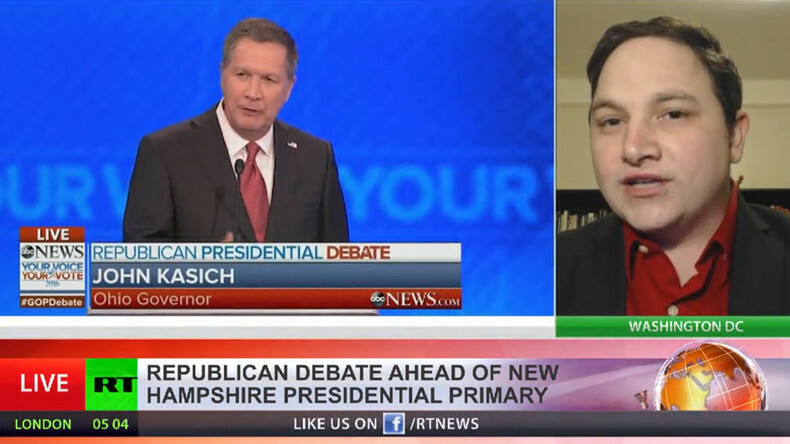 The New Hampshire Republican presidential debate took place in Manchester on Sunday. The polls put Donald Trump in the lead at 32 percent, with Marco Rubio in second place with 16 percent, and Ted Cruz trailing on 12 percent. RT: Ted Cruz won Iowa but polls show him way behind Donald Trump in New Hampshire. Do you expect Trump to win this time? Eric Draitser: It seems, according to the polls, that Trump has the lead. Although, I think there is a real question about whether or not Trump’s candidacy is going to be able to carry the day particularly considering what I think is quite obviously a concerted campaign by the Republican Party establishment to not only torpedo Trump’s candidacy, because he is seen as a loose cannon - something that is somewhat destructive to the overall goal of the Republican Party - and simultaneously the bolstering of Marco Rubio. We’ve seen over the course of the last few days since Iowa a clear and concerted campaign by the Republican establishment to get behind Rubio to try to galvanize some support from what can only be considered at this point the frontrunner of the so-called centrist Republicans, the Republican establishment. You see, Trump and Cruz are considered to be extremists in many ways, appealing to a very specific segment of the Republican base. But Rubio is seen as the frontrunner for the Wall Street money on the Republican side, someone who the neocons and the rest of them thinking can take down Hillary Clinton. What we’re seeing in this debate is a shifting of the actual paradigm in this Republican race, where the candidates are now fighting amongst themselves for these key constituencies. What happens in New Hampshire is now a division between the Trump, Cruz radical fringe on one side; and the Rubio and the others fighting over the establishment votes. RT: Cruz is trying to steal Trump's thunder by also announcing a wall to stop Mexican migrants. Why do you think Cruz is taking Trump's ideas? ED: Because Cruz knows that the Republican establishment, the center of the party, despises him because of some of the things he did in Washington: the attempted government shutdown and others, humiliating John Boehner and some other key Republican insiders. Cruz desperately needs to steal away the radical right from Donald Trump – that base that Trump has galvanized. Really Cruz understands that he is walking a knife-edge here, because although he was able to steal a victory in Iowa, somewhat under dubious circumstances, he knows that he is way behind in a lot of the other key states. And in order for him to compete, especially with the establishment Republicans such as Rubio, he is going to need to be able to take over that base that Trump has mobilized; and Trump for his part is trying to do the same thing in maintaining a lead. So this division within the Republican Party, I think is very apparent and it is actually something that is quite significant. The Republican Party is trying to unite behind Rubio and possibly John Kasich, and maybe some of the other moderate Republicans. At the same time, that is not what the grassroots of the Republican Party is about. In many ways we’re seeing an internal conflict in this party playing out on our television sets every day. 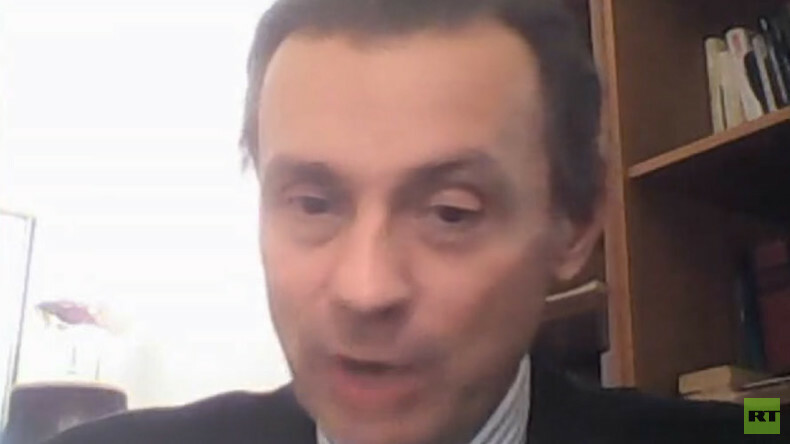 Political analyst Paolo von Schirach said the candidates’ performances will have some impact on the outcome of the primary in the US as it is all posturing and symbolism. RT: The debate comes days away from the New Hampshire primary. How big of an impact do you think the candidates’ performances will have on the outcome of the primary? Paolo von Schirach: I think it will have some impact, because again it is all about posturing and symbolism. In the earlier part of the debate, which I had a chance to watch, Marco Rubio, who comes into New Hampshire on the wave of his unexpected relative success in Iowa coming in an unexpected third, has been attacked relentlessly by the underdogs and in this case, for instance, Governor [Chris] Christie of New Jersey, saying: ‘Hey, I am an executive, I have hands on experience. This is a senator, who is just a windbag, he just talks. He doesn’t have to make any decisions!’ In other words, there is an attempt to posture. I haven’t really heard anything in the debate so far very substantive. The point is that Rubio, in order to have a chance to consolidate this wave of support, which led him from Iowa to New Hampshire, has to demonstrate in some fashion that he is presidential. What that exactly means is in the eyes of the beholder. But he has to prove that notwithstanding his age – he is very young, and lack of any executive experience – that he can have the job. Now, the people in Iowa gave him the nod. 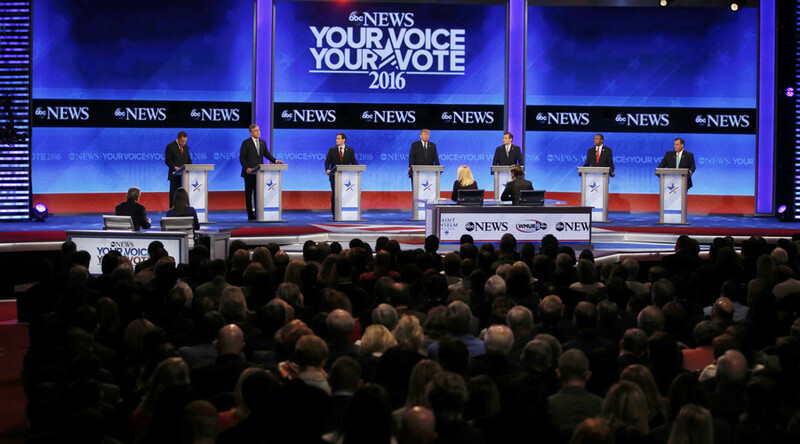 Will the people in New Hampshire do the same and by the same token, how are the others doing. I haven’t seen any outstanding performances so far in the debate as it has been conducted up to this point. Rubio managed to hold his own; the others attacked him, in particular his fellow Floridian, former governor Jeb Bush. 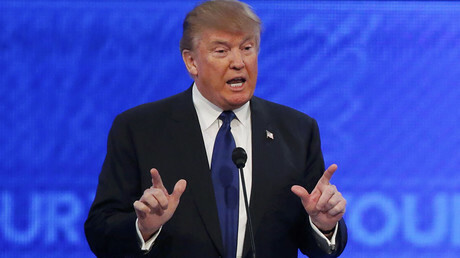 RT: Despite losing the Iowa caucus, Trump is widely expected to top the polls in next week's New Hampshire vote. Why is he getting so much support? PvS: Donald Trump has a very significant feature – he is the only - that I can think of - media celebrity turned politician… in recent American history. He has this appeal that is mostly based on his posturing and behavior - the way he acts and the way he talks - as opposed to what he exactly says. I give you a practical example. He was asked to debate [last night] what would he do about health care reform. Having said: “This is a big deal, Obama care is a disaster, we need to do something.” And he said practically nothing. It was almost an embarrassing answer, but shouting in the end that he’s going to help people and he won’t let people die in the streets, which is not exactly a very sophisticated position on an extremely complicated and very costly component of public policy in the US. So why is Trump popular? He has appeal - mostly among lesser-educated people - conservatives in the US. So he has a very strong support among whites with a high school education or less – that is his core support, mostly men. That is a lot and allows him to jump on top of all the polls in consideration also of the fact that all the other so-called establishment politicians have fragmented the votes among themselves. You’ve got Rubio, you’ve got [John] Kasich, you have got [Jeb] Bush, you’ve got Carly Fiorina, you’ve got Chris Christie. The votes of the more traditional voters go to a number of different candidates. Trump has gone ahead of everybody.